Hello everyone! We are extremely excited to be back at this year’s PlayStation Experience to unveil more information for Ni no Kuni II: Revenant Kingdom, the next game in the series that started with Ni no Kuni: Wrath of the White Witch! The new trailer, which debuted this morning during the PlayStation Showcase, gives fans a first look at the gameplay of Ni no Kuni II: Revenant Kingdom as well as confirming a 2017 release date on PS4. 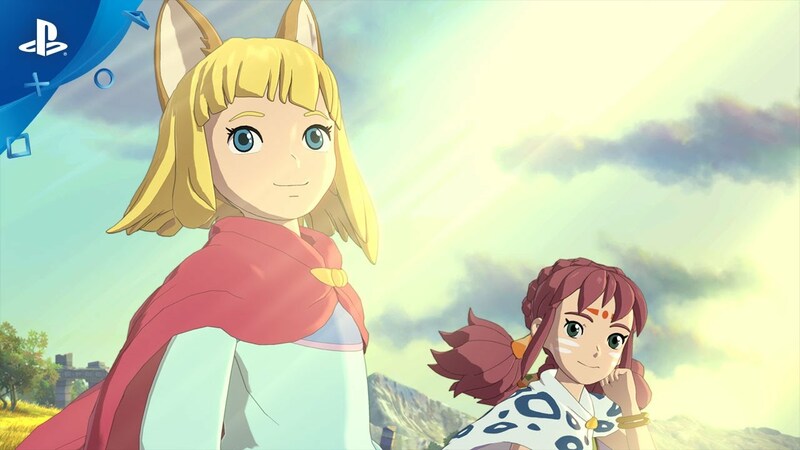 Ni no Kuni II: Revenant Kingdom brings together the shockingly beautiful, anime-inspired visuals from the first game along with a fresh new battle system and all-new storyline developed by the extremely talented team at Level-5. We’ll have a lot more to share for Ni no Kuni II: Revenant Kingdom in the coming months, so please stay tuned. Can’t wait to see more of this…and better get to playing Ni No Kuni: Wrath of the White Witch! That’s what I was thinking but at the same time the british seems just a bit off to me which I find odd. Perhaps it the anime grognard in me that makes me only watch it in japanese but when the voice actors seem overly british it seems to annoy me. I don’t mind it with Dragon Quest 8, heck Yangus would not be the same if he was in japanese or american english but the voices here and in Inazuma Eleven (which now that I think about it only made it as far wast as England) always seem overly british to me sort of like when games put southern people in them and make them sound like something out of deliverance. As I cant seem to find a edit button I will add that after rewatching it I think its less of the voice and more of how off the lip sync is. At least in this case. For Inazuma Eleven I think it just beaus I watched about 3 season of the anime before trying the game so when I played it all I could think of was how off each voice was. When is the Nintendo Switch version coming? YES, a better battle system is what I’ve been looking forward the most out of this game’s new features! I really, really hope this game gets the success NNK deserved back on PS3. Plenty of JRPG fans are missing out. Great news! Loved the first one. Love the first one, hoping this will be just as good. This looks amazing. Characters look unique and the story seems one of a kind. Please, oh please, let there be the option to switch to Japanese language like in the first one! Ill pick this one up. The first game was boring as sin,but this one actually looks fun. What about porting the first one for the people who didn’t get to play it? That would be awesome. And PS Now does not count. VinsanityV21 can I bug the developers to put out a digital copy so that my friends with broken or sold PS3s can get bugged to play it? Or can I bug them about putting it on the PS4 so that I can remote play it on my Vita or a tablet, because I’ve been doing more of my RPG gaming on the Vita lately? VinsanityV21, you do realize that not everyone has or had a PS3? I’m not going to buya PS3 just to play the game. Remastering this game could bring easy money for the developers. WOOOOOOOOOOOOOOO!!! So pumped to see this! This is the most exciting game Level 5’s been working on since the PS2 era – just has that same kind of Japanese adventure charm as, like, the first time Sony showed off Dark Cloud :) Happy to see this continues to look and sound amazing, and especially pumped to see they axed the first title’s weird turn-based/action hybrid combat for full-on action (because seriously… that was bad. That was a bad system. Never make a game where you have to cycle through menu options in real time. That’s like a new FPS coming out nowadays with cycle forward/backwards buttons instead of a weapon wheel interface). Keep up the great work Bamco & Level 5; I’ll be picking this up on Launch Day! I’m really going to miss the turn based battles with the cute familiars. I hope they release a remaster of the good Ni no Kuni game. As someone who skipped out on getting a PS3, I’d like to see a remaster of the first game for the PS4. Thank you. Never got around to playing the original, but all my jrpg friends adored it. Hope Sony remasters it, I’ll gladly pick up and enjoy both titles. Can’t wait for this! But where’s the boy from the original? 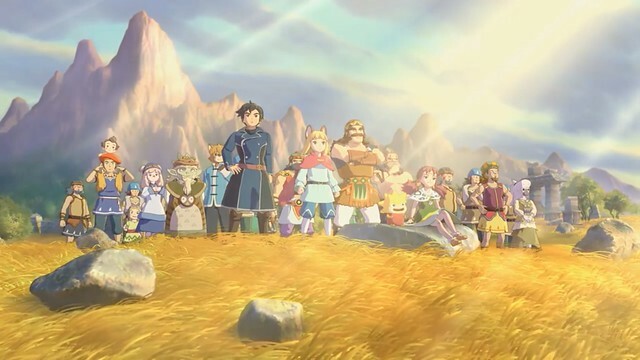 Yo Leandro, Revenant Kingdom is a “Prequel” to the Ni No Kuni series, it was even mentioned in the 1st game that there was a war that took place for many years with the Familar’s being used as weapons, This is that Era. Any chance of there being a limited edition for Revenant Kingdom? I will go pre order it now.